WE ARE THRILLED TO BE NAMED 2018 “HOTEL WITH BEST SERVICE” BY WISCONSIN MEETING PLANNERS! Are you looking for a special destination to host a truly memorable, conference, meeting or special event? We would welcome the opportunity to serve you! Our gorgeous 56,000 square foot conference center combined with our 1,151 lodging options, four-star dining, championship golf course, award-winning spa services and 8 indoor and outdoor waterparks makes our facility a sought after destination resort worthy of your serious consideration. 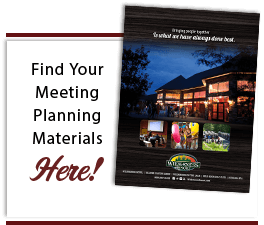 Let our professional sales team help you plan your next company meeting. We have a variety of meeting rooms and a great full-service catering menu. For those special occasions – Our gorgeous 56,000 sq. ft. conference center is perfect for hosting your next holiday party or social reception. 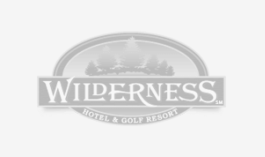 A trip to The Wilderness is a great way to catch up with friends & family or for hosting sports teams and school/religious groups.